With the ultra-compact Misty 1 personal mister, staying cool has never been easier. 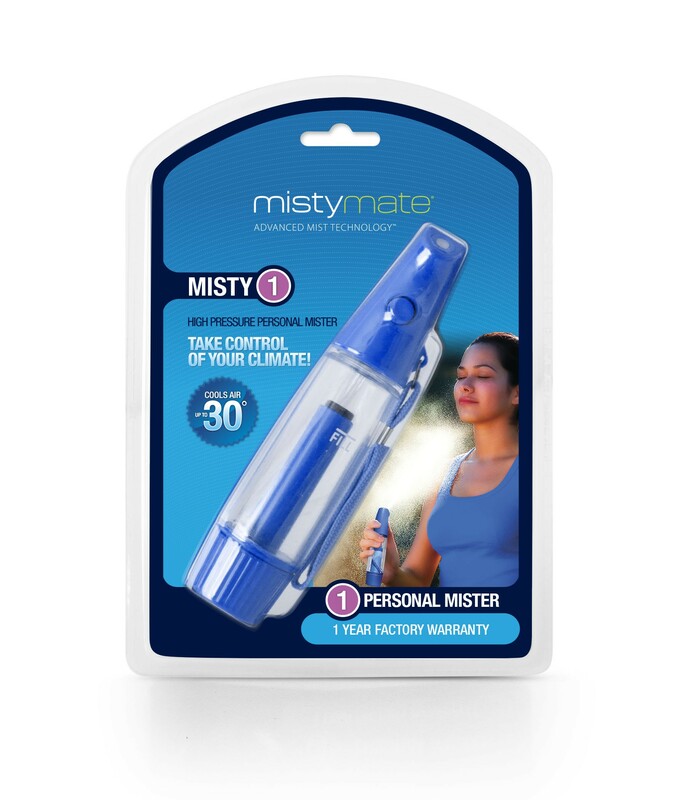 The battery-free Misty 1 pressurizes easily by hand and with a push of a button it propels an ultra fine mist that creates an instant cooling sensation that has to be felt to be believed. With a fluid capacity of 1 oz., this reusable mister is constructed of high-grade components to deliver a continuous stream of ultra-fine mist on command. Includes carrying strap. Available in several colors! • fluid capacity: 1 oz.